I was recently turned on to Jane.com and haven't been able to stop checking their site daily. On several occasions, I've spotted some deals I've gushed over, only to see them sell out in no time flat! Lesson learned...don't dilly-dally. 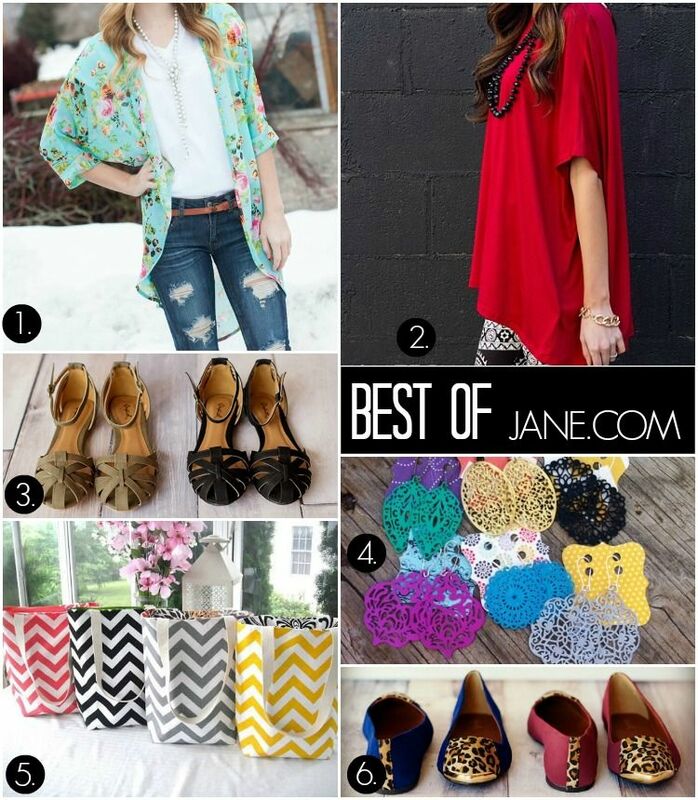 Today for the BEST OF, I thought I'd share with you a few of my favorite deals going on right now at Jane. Seriously, check them out...you'll be blown away with the deals on women's clothing, baby/kids accessories, home decor, etc. 1. Spring Floral Kimono: I'm obsessed with this kimono! 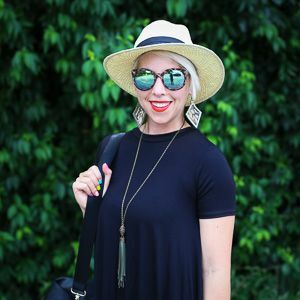 Such a fun spring/summer look!!! 2. Adore Short Sleeve Tunic: Just simply chic...comes in navy, also! 3. Perfectly Spring Strappy Flats (black/olive): I love the different take on these sandals (especially the ankle strap)...not your regular flats. 4. Filigree Earrings: Kinda a no-brainer at $4.99! All are hand painted! 5. Reversible Chevron Tote: Such a perfect carry-all for anything and everything. My fave is the gray! 6. Pointed-Toe Flats with Leopard tip: Super on trend and unique...I don't think I've seen any flats quite like this. I'm loving spring kimonos for spring! ooh that kimono!! It's fabulous!!! !